Does Disney “Get” Virtual Worlds? Second Life is looking for it’s Second Wind. There.com isn’t quite there yet. The media hype that surrounded virtual worlds just a year ago has ratcheted way back. Real world companies who came in not understanding what they were getting into quickly faded away after they didn’t get what they were expecting. But one demographic seems to be doing quite well in the virtual space: Kids. If you have one of these living under your roof, you probably know that they are actively participating in online virtual/social networking spaces. They are joining online social networks at increasingly early ages (pre-school in the case of Club Penguin) and in those spaces, they are forming relationships that are very real. This high level of participation has made kid-oriented worlds like Habbo, Gaia Online, Neopets, Webkinz and Nicktropolis more successful that adult oriented virtual worlds. Disney’s launched Virtual Magic Kingdom in 2005 with a target audience of 8 – 14 year-olds. Seeing business opportunity in the virtual space, they paid $350 Million to acquire Club Penguin last year. This year, Disney launched Pirates of the Caribbean Online to attract a somewhat older, but still teen aged audience (mostly boys) and Pixie Hollow (targeted at girls) is set to be launched later this year. The longer range plan, according to Mike Goslin, VP of Disney’s Virtual reality Studio, is to “have a large number of virtual world for a range of different audiences… sort of like a theme park.” The strategy also includes making the different worlds “feel like a common experience” including the ability to move your social contacts between virtual experiences. Last Week, Shel Israel posted an fascinating video interview with Goslin and other senior team members from Disney’s Interactive Studios. In the interview, the Disney team talks about the differentiators that they bring to the game. The most interesting one for me was the idea of Context. Like physical playgrounds, Disney sees their virtual worlds as socializing environments. In them, kids are learning collaboration skills, communication skills and social skills, but as with most everything Disney does, these interactions and communications are done in the context of a story. Disney believes creating social environments and communities around a context adds value to both consumers and business. On the customer side, building environments around a theme drives engagement by communities of interest who are passionate about that theme (think “ESPN Fantasy Football”). This leads to large communities that are defined by their common interest as opposed to the relatively small number of people that may be in your friend list. Those large communities with common interests provides a context for a business model like advertising. Because the community is all there for the same reason, they will likely engage in predictable ways (i.e. minimize random and inappropriate behavior). Conspicuously absent from the interview was any mention of Disney’s Virtual Magic Kingdom (“VMK”). VMK was launched in 2005 as part of the Disneyland 50th year celebration. In it, participants create rooms themed after Magic Kingdom attractions, play mini-games, collect inventory and make friends. Just seven months after launch, Disney announced the game surpassed one million players and over 1.3 million personalized in-game rooms. Last month, with no advance notice, Disney announced that they would be shutting the doors on this virtual theme park on May 21. Predictably, the outcry from the “community” has been loud and is growing as the date approaches. A number of petitions have collected thousands of signatures, boycotts are being threatened and one group, VMK Kids Unite, is organizing a protest at the gates of Disneyland on May 10 which may be covered by CNN and CBS. Obviously, adults are helping to organize these efforts, but the kids are the driving force. Kids who are already comfortable with the participatory web and who want to have their voices heard. So here’s my takeaway. From the interview, its clear that Disney understands the business opportunity in Virtual Worlds & Social Networks. The also have a pretty good idea how to build communities through contextually engaging virtual experiences. On the other hand, Disney’s decision to shut down VMK demonstrates that perhaps they don’t really get the “social” component. In these social environments, Disney’s role is to provide the frameworks (architectural, security and creative) and the context, but the real content is created by the participants. In shutting down VMK, they aren’t just closing an amusement park attraction. They are throwing away the work of the thousands of dedicated, passionate kids who have spent countless hours building and sharing wonderfully imaginative experiences, and in the process, will be alienating many of their most dedicated and influential advocates. What do you think? Is closing VMK “just business”? Will the kids get over it? Is this consistent with Disney’s brand? Update #2: My daughter wrote a song and created a video about saving VMK. Check it out here. Several generations later, I was tagged by Geoff Livingston to weigh in. Like many others that have participated in this meme, I’d have to say that in some respects I do respect media snackers, but that I have lots of room to improve. I try to offer insights that will be of value. My posting frequency varies; I don’t blog unless I have something worth sharing (healthy snacks). I try to keep my post short and too the point (ok, may need some improvement here). I usually include links to other snacks that relate to my post (are you still hungry?). I use Twitter for micro-snacks or to link to other snacks. Get more concise and timely in my messages. Explore new formats that can deliver content more effectively (video, podcast, microblogging). Look for new channels that snackers may be using. To keep the meme going, I tap Steven Streight, Rick Mahn, Luis Suarez, Ryan Karpeles, and Erin Handy to answer the question. Even it I didn’t tap you, feel free to weigh in and leave a comment linking to your post. Pulling off quite a coup, Wal-Mart has entered the movie download business with a bang. In the announcement today, the company announced agreements with all six major movie studios — Walt Disney, Warner Brothers, Paramount, Sony, 20th Century Fox and Universal — to sell digital movies and television shows on its Web site (www.walmart.com/videodownloads), becoming the first traditional retailer to do so. Wal-Mart, who lost the battle against Netflix on DVD rentals two years ago, sees that the bigger opportunity is in downloads. The move plunges Wal-Mart into direct competition with established players like Amazon.com, CinemaNow and the 800-pound gorilla, Apple’s iTunes. Wal-Mart will face a number of challenges. Apple dominates the digital download space, leaving only a very small share of the market for others to scrap over. And where Wal-Mart is the king of retailers, they have no real competence in digital distribution. What they do have is clout and they have leveraged that clout to do what Apple has been unable (or unwilling) to do: to pull together all the right Hollywood players. Wal-Mart has also partnered with Hewlett-Packard to create an easy-to-use Web site and develop a broad library of videos. Movies will run from $12.88 to $19.88 on the day the DVD drops, while older flicks start at $7.50. All movies will have roughly the same price as the actual DVD at Wal-Mart stores, though. Not sure why download customers would want to fork over almost what you’d pay for the actual DVD, but then again, I’ll do just about anything to avoid going to a Wal-Mart. The pricing is designed to protect the DVD business which will keep the studios (who have considerable clout themselves) happy. The service will have TV shows from Comedy Central, CW, FX, Logo, MTV and Nickelodeon. Major networks are not in the mix as of now. TV shows run a bit cheaper than iTunes, at $1.96 a pop. Altogether, it will offer “access to 3,000 productions,” with the mix split roughly 50/50 between movies and TV shows. Just as MP3 downloads have disrupted the CD business (just ask Tower records), digital movie downloads will be disruptive to the DVD business and possibly other CE products such as DVRs. You can already watch recent episodes of ABC shows for free. If, in the near future, I can get high-def downloads of shows that I missed, why pay for a hi-def Tivo and the monthly subscription that goes with it? This disruption could also impact CE retailers who do not move into the digital distribution space. The war is just starting, but it will be interesting to see how it develops. If you’re thinking about getting the AppleTV next month then you should checkout this walk through of the interface. It looks very slick. Again, Apple has scored in making a piece of hardware (AppleTV) and software (iTunes) that integrates seamlessly and makes it quite easy to use. Beyond being seamless and easy, there is something else about the interface design that really clicks with me. Perhaps it’s just the “cool factor” that seems to come naturally to Apple engineers or the fact that the interface itself is both beautiful and entertaining. Whatever the reason, the design is totally engaging and very well may be disruptive to the CE industry which has been unable to find a way to make products that are easy to integrate & use, and also exciting for the consumer. <via The Wibrary at Untangled Life>. On January 1, the massively multiplayer online role-playing game (MMORPG) “World of Warcraft” released a major new upgrade. The 3D Virtual World game has over 7 Million subscribers worldwide who shell out a monthly fee to play the game. In addition, the community of WoW players has created a thriving marketplace for virtual goods on eBay, where virtual weapons, attire and characters have been selling for real cash. While there is no universally agreed-upon value for “Real-Money Trades” (RMTs) market, it is assumed to be worth somewhere between $250 million and $880 million a year, according to experts. eBay, which has dominated the market for these transactions has confirmed that they are now going to ban auctions for the characters, currency, weapons, attire and accounts of online games such as World of Warcraft, City of Heroes and others. In most cases, publishers of online games include in their terms of service a prohibition on RMTs. Players who violate such rules can be banned. eBay’s move is a boon for companies like Internet Gaming Entertainment who now own the third party market. Julian Dibbell, author of Play Money: Or How I Quit My Day Job and Struck it Rich in Virtual Loot Farming commented that this development is “sad” because it restricts individuals from being direct participants in the markets themselves. I should note that SecondLife is not affected by this move since virtual goods in that realm are freely traded. If I had to bet, I would expect that the community is not going to accept this change quitely. It’s in their nature to be active participants, to control the content, terms of service be damned. When it comes to digital content, be it a virtual tool, or a song from Tool, the community always finds a way to get what they want on their terms. The article on CNET goes into more detail regarding the motivations behind eBay’s decision. In case you haven’t see this, CBS will be joined by Sling Media and SecondLife in a presentation at CES today. I’ll update the post after the details are out. UPDATE: So the keynote is over and here’s the skinny. 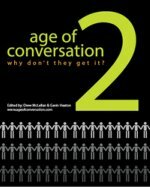 For the past year of so, we’ve all been talking about “The New Media”, “Generation C(ontent)”, “Web twodotwhatever” and so on. We’ve also been saying that traditional media “doesn’t get it” or is no longer relevant. Apparently good old CBS isn’t going to go away quitely. Instead, they have spent the last year developing lots of new partnerships with everyone from social networking sites for lesbians to SecondLife where a virtual replica of the Starship Enterprise (CBS property) will be made available to residents. Perhaps that’s a bit over the top, but this is afterall the age of “Individual and Interactive”. There is no niche too small (right longtailers?) and we all want to play a starring role. In his keynote address, CBS President and CEO Leslie Moonves showed off quite a few of his new friends to demonstrate that CBS “gets it”. “The symbiotic relationship (between online and television content) will only tighten,” Moonves said. “What’s a big media company like us to do? We’re embracing it big time. We’re doing just about everything we can to see what’s going to work now and in the future.” That often means bringing in people outside CBS to do so, he said. The partnership with Sling media involves Sling’s latest technology called Clip + Sling. It allows users to clip content from live or recorded TV and share it with anyone, including non-Slingbox owners. The clip can be sent in an e-mail that plays the video from a hosted portal. It’s not exactly YouTube, so to cover all the bases, CBS also has a joint venture with Google’s latest toy in the form of a contest in which users submit 15-second videos to YouTube about anything they’d like. The highest-rated video will be broadcast on CBS during this year’s Superbowl. I haven’t written much about Wi-Life (“wireless living”) in a while, but seeing how the gang over at PSFK have identified it as a 2007 Trend, I thought I would share my thoughts (and theirs). Bluetooth & WiFi technologies have been serving the professional world for a few years, allowing us to stay chained to our desks, even when we are not at the office. OK, more optimistly, they are freeing having to be in fixed locations to accomplish tasks. This has made us more mobile and has definately changed our behavior. Many homes now have wireless routers and high-speed internet (although its still way overpriced in the US compared to other parts of the world). I started this post in the kitchen, but am finishing it at 12:13 am lying in bed. Back in the summer, I often wrote posts outside on the patio. The home office is no longer a dedicated room. You can take that spare bedroom back now and turn it into something else. Ours is a scrapbooking room. Look at your laptop in your home as your new cable box and your additional hard-drive as your Tivo. Download your entertainment media from the web, save to your drive and play to any Wife enabled electronic. In fact, the distribution of media from the home computer to dumb terminals like the TV is a critical factor in the rise of the HearMeSeeMe web. Of course, WiLife is not just for the home. Ford and Avis have announced a system that will let drivers download directions as they drive and give passengers to download shows and swap files tirelessly in-car. One day the cars will tell you where in the city your WiFi enabled friends are too. And WiLife continues when you leave your car. Once we’ve recharged our gadgets with electro-magnetic wireless chargers, we’ll walk around with our phones and pods and these will us wireless technology to download entertainment and information from a media hub in the sky (Ryan talks about how he’ll use the phone in his video here). We’ll take both our record and DD collection around with us once it’s digitized and uploaded to our virtual slate on the web. And where will we play our tunes? At the beaches, parks and streets that cities are busy covering with wireless networks. The impact of this always-on life is going to be pretty huge. Many of us have already seen our professional life become all-but always-on, now our leisure and social life will undergo a similar revolution.